Earth’s environment is extremely intricate and every action has a reaction, thus what is happening in the Arctic has an effect all over the world. The ice in the Arctic has a very high albedo where it reflects 85% of sunlight, but as the ice melts more sunlight is absorbed into the water which results in more ice melting. Due to the decline in albedo the Arctic is warming twice as fast as the rest of the planet. 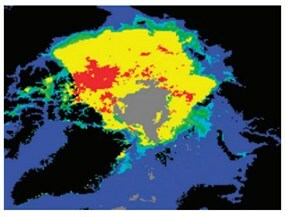 Albedo measurement of the Arctic through satellite imaging from 1985. 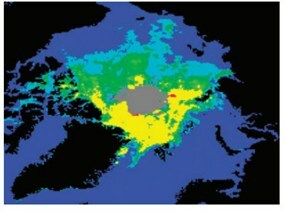 Albedo measurement of the Arctic through satellite imaging from 2008. The satellite images above display the rapid decline of albedo in the Arctic. With less sunlight being reflected off of the Arctic ice over time, much more than normal is being absorbed. This heightened absorption causes an increase in temperature of the water and the ice caps resulting in quicker melting. 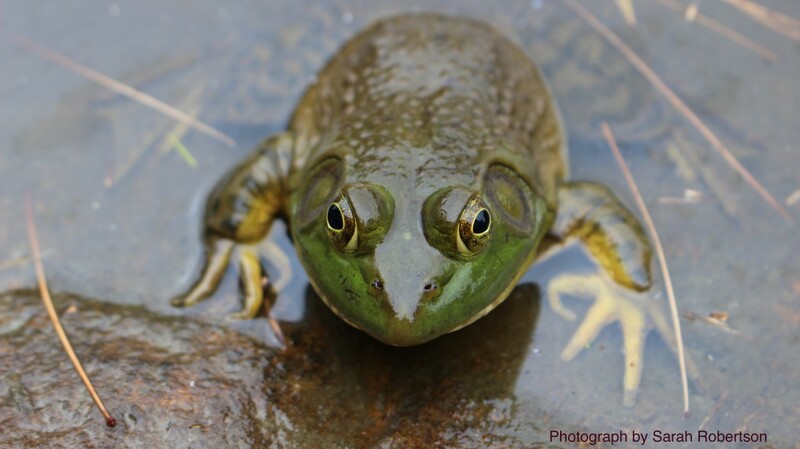 Along with melting ice caps, this has a serious effect on other parts of the environment. Scientists believe that the melting ice has caused an increase in volcanic activity. Ice caps are extremely heavy and it is believed that as they form they bend the Earth’s crust beneath them. Then as this ice melts and the weight is lessened on the crust and it moves up. Volcanic eruptions are caused by the movement of tectonic plates beneath the Earth’s crust. This movement from the alleviated weight causes magma to much more easily reach the surface, thus causing more volcanic activity. This is not the first time in Earth’s history that this relationship between large quantities of ice melting and an increase of volcanic activity has been documented. Scientists believe that around 12,000 years the Earth was losing a great amount of glaciers and that this directly caused an increase of six times the normal volcanic activity of the time. This connection truly shows how interdependent nature is. It displays just how delicate our world is and what immediate effects climate change is having on Earth. I believe that this accurately shows how we as a global community must work to protect the ice caps and most importantly, our planet. This is a very interesting relationship that I never knew about. I think whenever people hear about the ice melting, they immediately associate it of the negative effects on the polar bears. So it is interesting, but scary of course, to think about how the ice melting has an effect on the land as well. I was also thinking, does this cause a chain reaction? When the ice melts, volcanic activity increases. Then could the magma from the eruptions melt the ice causing more eruptions?